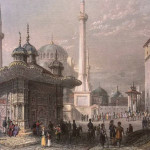 The Fountain of Ahmet III (Turkish: III. 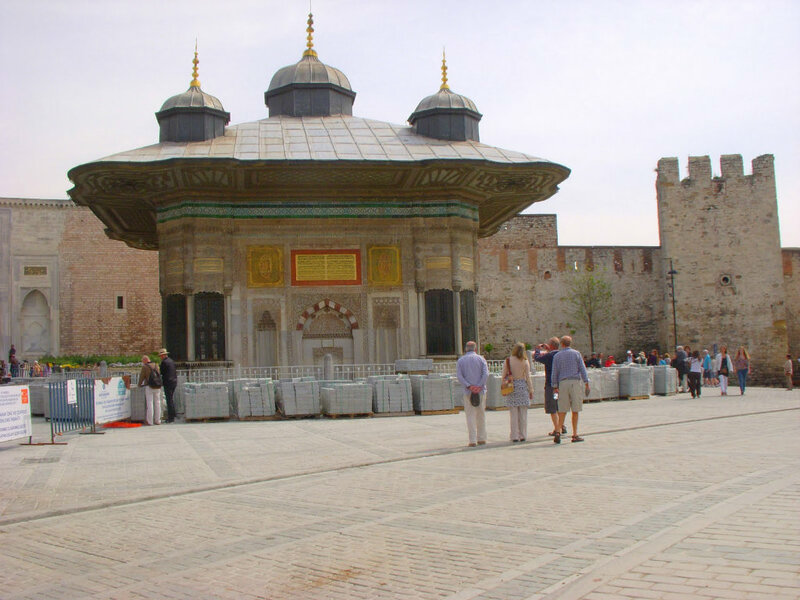 Ahmet Sebili ve Çeşmesi) is one of the most magnificent fountains in Istanbul. 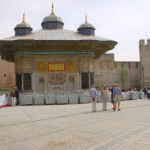 It built in 1728 by order of Ahmet III on the spot of the Byzantine “Perayton” fountain. 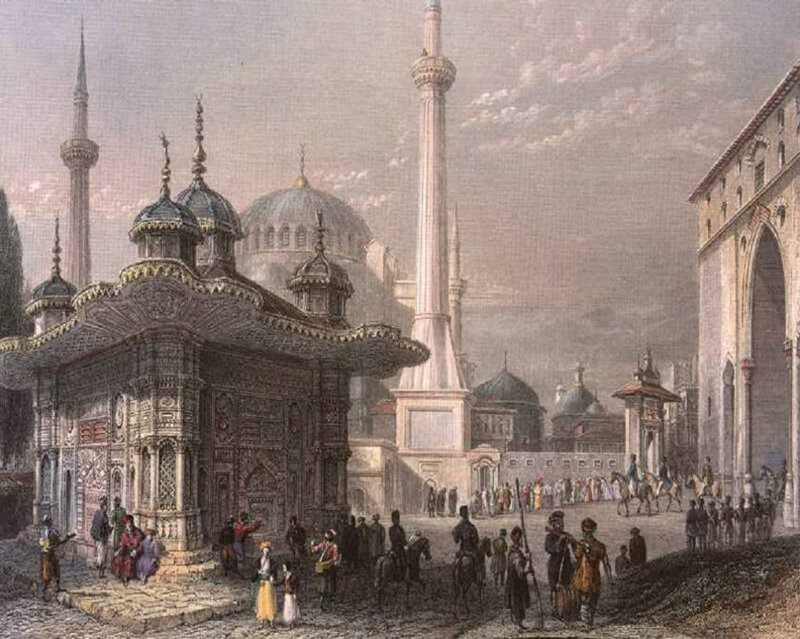 The Fountain of Ahmet III (Turkish: III. Ahmet Sebili ve Çeşmesi) is one of the most magnificent fountains in Istanbul. 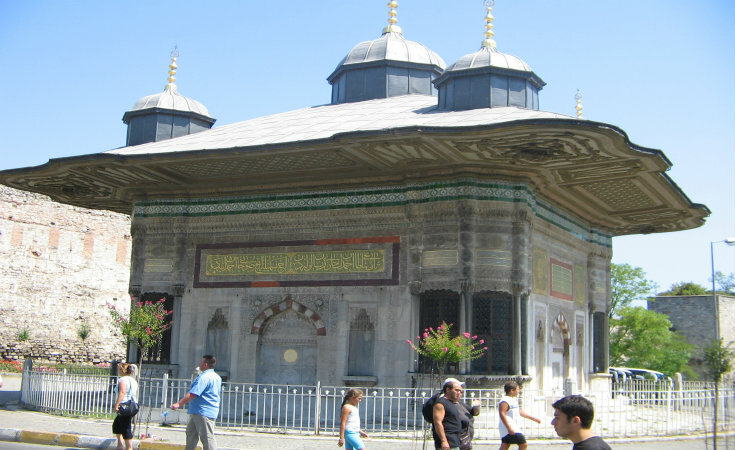 It was built in 1728 by order of Ahmet III on the spot of the Byzantine “Perayton” fountain. Situated in the center of Hagia Sophia square, the side of the fountain facing the palace door bears a eulogy to Seyyid Hüseyin Vehbi, a poet and former judge of Kayseri and Halep. Built at a time of increasing Western influence on Ottoman architecture, the structure has fountains and faucets on each side. On each of its corner it also has a dispenser called “sebil” for distributing cups of water or sweetened fruit juice called “şerbet”. It is widely appraised for the flower motives in the vases above each fountain and the decorative work on its wooden eaves.